Consensus Planning prepared a Level A Planned Communities Criteria Master Plan for approximately 13,700 acres of land located within Bernalillo County, west of Albuquerque. The Project Team includes Garrett Development, Consensus Planning, Rodey Law Firm, Bohannan Huston, and SEC Planning (Austin, TX). The Level A Plan is designed as a mixed-use, self-sufficient community with a series of village areas planned for residential development, an urban center, a town center, and business and employment areas. A key feature of the plan is a focus on future employment areas to help alleviate the current jobs/housing imbalance on the west side of Albuquerque. Santolina will be the first approved Master Plan to follow the Planned Communities Criteria in Bernalillo County. Consensus Planning has designed the first Level B Plan for an approximately 4,000 acre portion of Santolina and is currently leading the entitlement effort. The level B plan includes a significant amount of open space, parks, residential neighborhoods, as well as a portion of the urban center, town center, business park and industrial area. 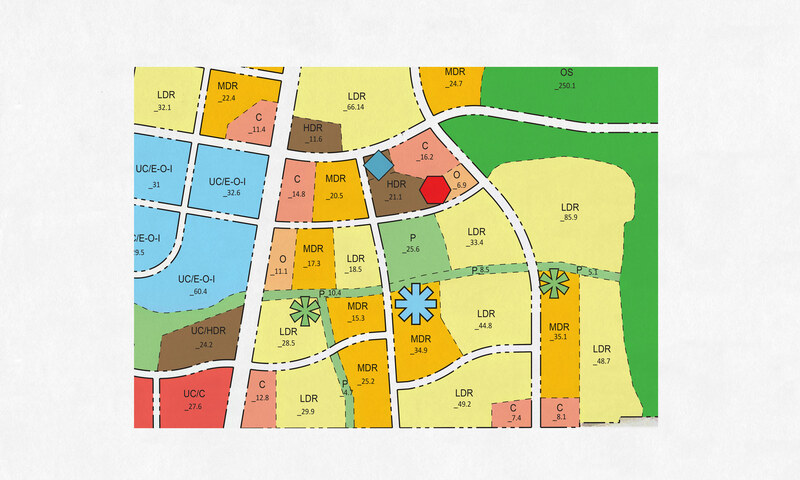 The Level B plan includes custom zoning and design standards for the property. These plans include all elements of a new community, including land use, zoning, design standards, utilities, transportation, open space, and public services. The Level A Master Plan, Zoning, and Development Agreement were approved by the Board of County Commissioners and the Level B plan is currently before the County Planning Commission.